Nexus doesn’t only supply a great choice of kitchen tap designs. We offer a selection of handy features and options too, that will make you wonder how you ever managed without them. Check out our range of tap spout options – as well as standard models we’ve also got convenient swivel spouts, industrial kitchen-style spring neck spouts and extendable pull-out spouts that are ideal for compact spaces. 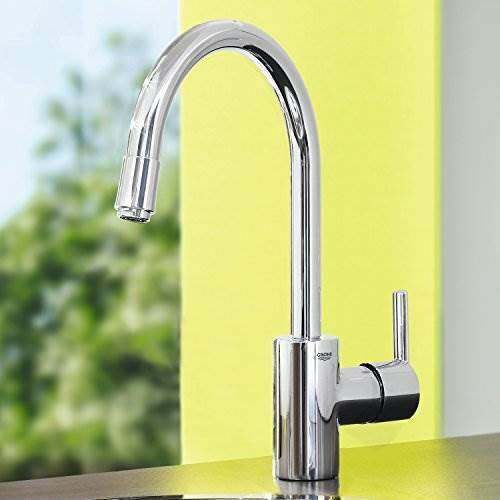 Why not take a look at our excellent water-filter tap and boiling-water tap ranges. You’ll be glad you did. We even supply some tap designs in a choice of finishes, to blend perfectly with your kitchen. Some models offer chrome and stainless steel options, or even more vibrant colours like coffee, champagne or tartufo!